As Josh Painter at Texas 4 Palin reported earlier this afternoon, Discovery Communications and TLC are moving forward with the “Sarah Palin’s Alaska” series without a hitch. Scott Collins at the Los Angeles Times reports that production of the eight episodes of the series will begin next month. Extremist environmental groups, led by Defenders of Wildlife, waged a well-funded campaign against the series with multiple petitions and with ads at bus stops across from Discovery’s corporate headquarters. We don’t know whether their petition was delivered to the Discovery shareholders meeting as they planned. But we do know that our counter petition, with signatures and a list of sponsors, was overnighted on May 4 to Discovery CEO David Zaslav, with a request that it be presented at the shareholders meeting on May 5. Spearheaded by the authors of Sarah’s Web Brigade and SPIB, the current petition drive was a cooperative effort between many Sarah Palin supporters that enabled us to make a statement of support on behalf of Governor Palin’s new series. A Facebook Cause was also set up for the petition drive. Related efforts are also ongoing at the “Tell TLC/Discovery Communications YES to Sarah Palin” Facebook group, which we encourage you to join. The U. S. Sportsmen’s Alliance (USSA) has also encouraged their members to write Discovery in support of Governor Palin’s series. Obviously, Discovery Communications knew they had a winner from the beginning when they landed the contract for Governor Palin’s Alaska series. But what kind of statement would it have been if we her supporters had remained silent in the face of the vicious attack against her series? We’re glad we took a stand and will continue to cheer Governor Palin and Discovery Channel on as this series becomes a reality. (And no, it is not a reality series – it is a documentary about Alaska and her people.) We are certain to see breathtaking scenes of Alaska’s awesome beauty and learn fascinating facts about what it is like to live there. Thank all of you who have already signed the Show Your Support for Sarah Palin’s Alaska Series! petition. Those of you who have not yet done so, please sign the petition and join us in supporting Governor Palin and Discovery Channel in this endeavor. Contact information for Discovery Communications and TLC is posted on the petition site so you can make phone calls and send letters. Visit the other links posted on the petition site for additional information. 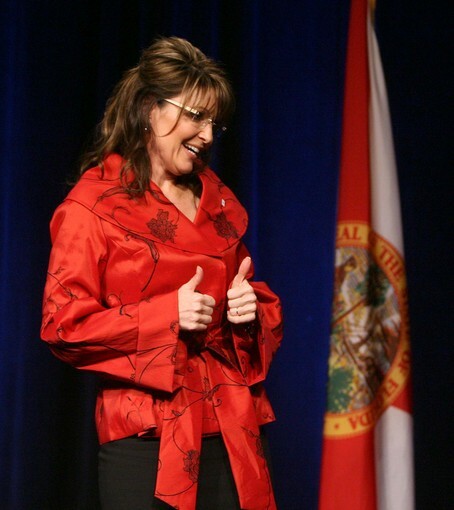 Let’s make Sarah Palin’s Alaska the most-watched series in TLC’s history! Do it for Sarah! Governor Palin endorsed conservative Republican Tim Scott for South Carolina’s 1st Congressional District, today, Saturday, June 19, 2010 via Facebook post. 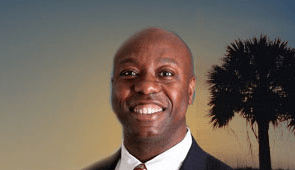 I’m very proud to add my support to Tim Scott’s campaign to represent South Carolina’s 1st congressional district. Tim has a remarkable success story. He grew up in poverty and was raised by a single-mom who struggled to provide. With help from a mentor and his brave mom, Tim learned to appreciate the value of hard work and American opportunity. He went on to become a business owner and has served in public office with integrity on the county and state level. Tim is a pro-life, pro-2nd Amendment, pro-development, Commonsense Conservative who’s been endorsed by the Club for Growth because of his solid commitment to the principles of limited government and fiscal responsibility. He will represent the Palmetto State with distinction in DC, so I encourage you to vote for Tim in his run-off election next Tuesday, June 22nd. Please visit Tim’s website at www.votetimscott.com and follow him on Facebook and Twitter.